The MechWarrior Online Catapult is a gorgeous machine with a lot of reach. 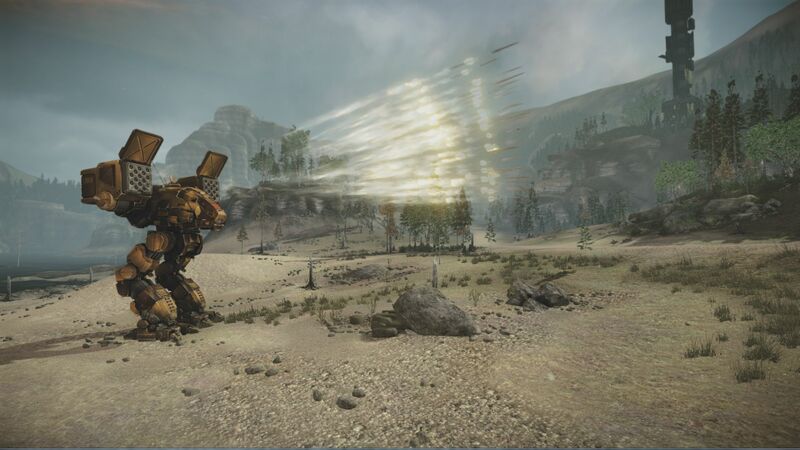 Catapults are fire-support mechs, designed to hover around the periphery of a battlefield, pouring fire onto enemies from long range to keep them pinned so the knife-fighters can get in close. 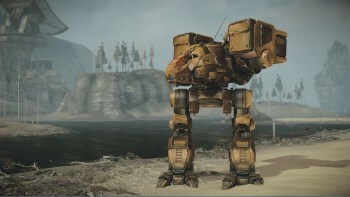 They're not the most elegant-looking machines to ever take the field, comprising not much more than a cockpit, some legs and two massive weapons platforms, but they sure do look hot in these new MechWarrior Online screens. 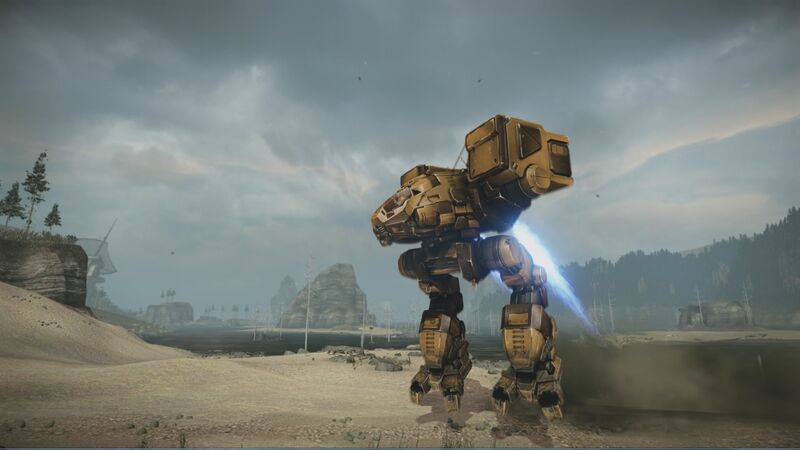 The standard Catapult design is a pile of LRMs, four medium lasers and jumpjets to keep it out of trouble, but these screens also show off MechWarrior Online's modular weapons system in action. Half the shots show the unit packing LRMs, while in the other half it's been equipped with a couple of cannons the size of Winnebagos. PPCs? Large lasers? I have no idea. 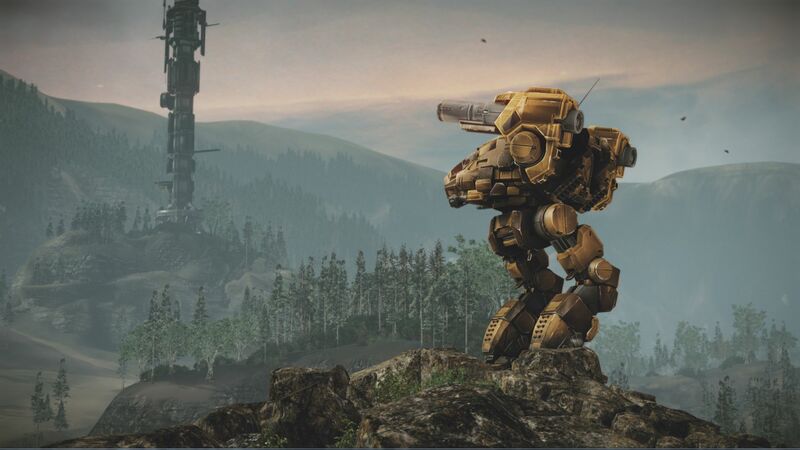 These are the important points: One, if you want to say hello to someone from a distance, a Catapult's not a bad way to go. 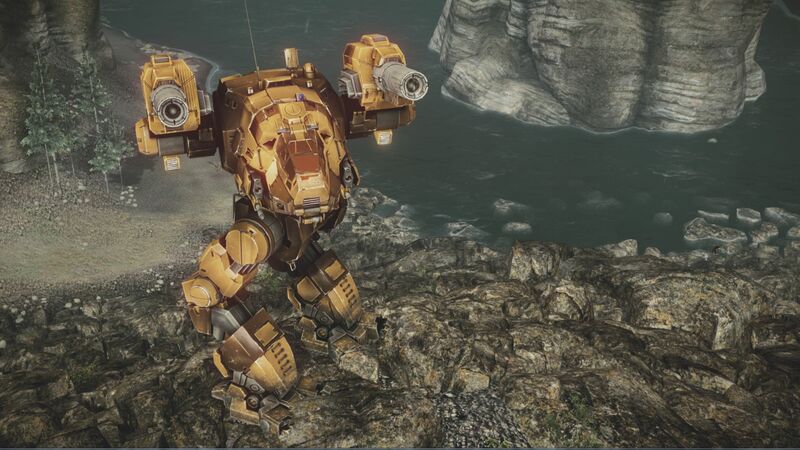 And two, MechWarrior Online looks hot. 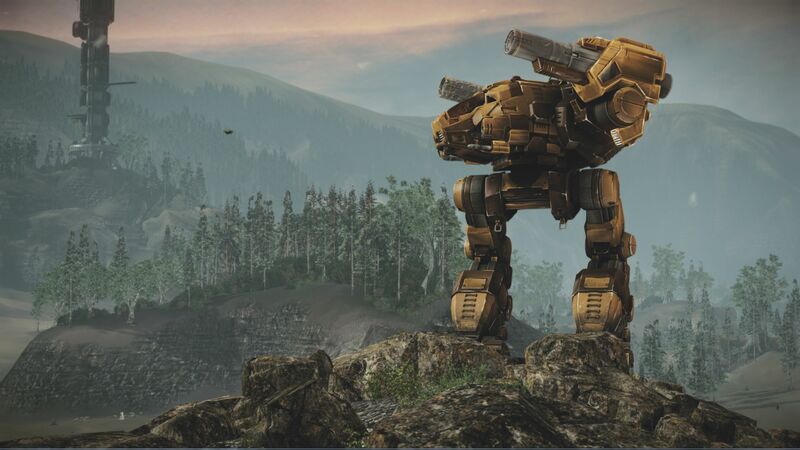 The free-to-play, multiplayer MechWarrior Online drops later this year, exclusively for the PC.